BMW Motorrad India has started the teaser campaign to announce the launch of the new generation S 1000 RR in India. While the German premium motorcycle manufacturer has still not disclosed a particular date of launch, it is expected to happen soon. We did reach out to BMW Motorrad dealerships in India to get more details and they have confirmed that bookings for the 2019 BMW S1000 RR have commenced in the country for a token amount of Rs 1 lakh. The deliveries in India are expected to take place from June 2019 onward. BMW Motorrad will be bringing the 2019 S 1000 RR into the country via the CBU route. The new-generation BMW S 1000 RR was showcased at the EICMA 2018 show. 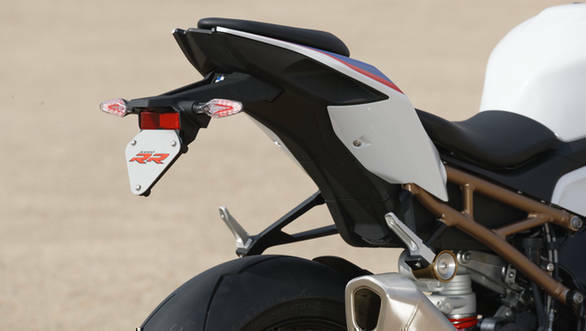 The superbike gets a slimmer profile for the tank and the seat which, as claimed by BMW Motorrad, has improved the seating geometry for both track and road use. The new chassis is suspended by a new suspension that claims better handling and traction performance. 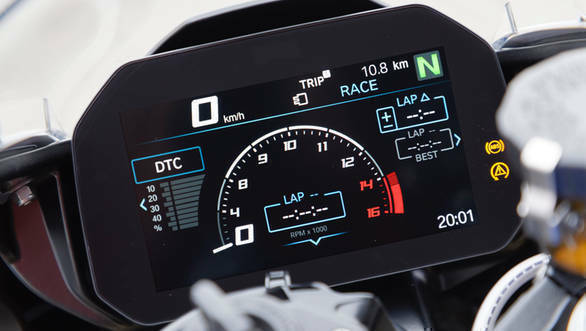 As before, the S 1000 RR can also be optioned with an electronic suspension which now features an improved valve control technology for quicker operation on the track. Powered by a new in-line four-cylinder engine now, which is 4kg lighter and like the R 1250 GS, boasts of BMW's new ShiftCam variable valve timing tech on the intake port. The latter should theoretically help in quicker outright and in-gear acceleration, though BMW hasn't shared any official performance figures yet. That said, BMW hints that the third-generation S 1000 RR will be at least a second faster on the lap times as compared to the outgoing model. To that effect, the new S 1000 RR boasts of a better power to weight ratio of ~1,051PS/tonne compared to ~957PS/tonne of the outgoing bike. The new S 1000 RR puts out 207PS of peak power and up to 100Nm of torque is available between 5,500 and 14,500rpm, while the weight is down to 197kg (193.5 with the M Package). The exhaust system has shaved another 1.3kg and looks leaner than its outgoing counterpart. 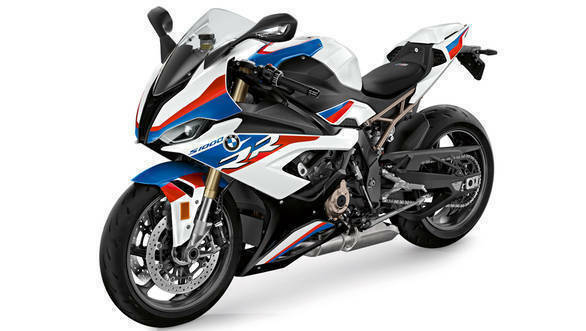 The 2019 BMW S 1000 RR will compete with the likes of the Aprilia RSV4, Yamaha R1, Kawasaki ZX-10R, Honda Fireblade and the Ducati Panigale V4.